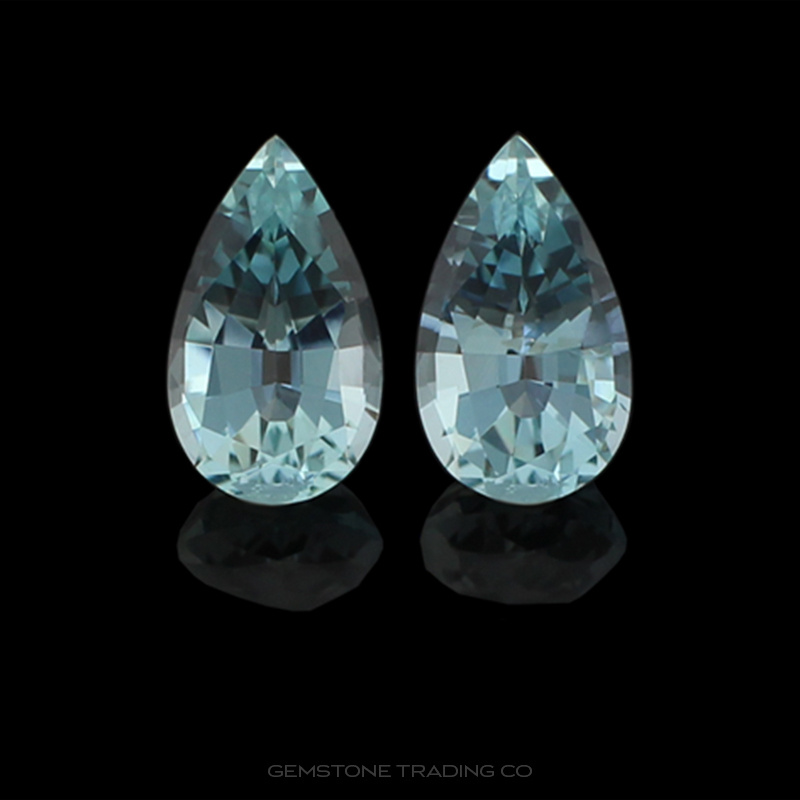 Aquamarines are one of the more recognised coloured gemstones in the world. Everyone has heard the name before and can immediately identify it in their minds with the colour blue. This however is not entirely true and should be more comparable in the mind to water. Just like different bodies of water, aquamarine can be light-blue, dark-blue, blue-green and green-blue. This is exhibited in its naming from Latin: aqua marina or “water of the sea”. The price of aquamarines is primarily dependent on the intensity of blue the stone exhibits. Deeper or more intense blues can triple the price of a sky blue aqua quite easily. Aquamarines are routinely heated to remove ferric iron content and hence mute green shades through the stone. Ironically green aquamarine is becoming quite popular in the market and merchants are left with heated stones of weaker shades of blue where their unheated counterparts before the green was removed would have likely moved much quicker and fetched a higher price. Perhaps the most famous mine of Aquamarine is the Santa Maria de Itabira mine in Brazil. The intensity of the blues mined there were unlike anything previously seen in the gemstone world. Recently Mozambique and Madagascar have found similar deep vivid blues. The term “Santa Maria” is now a term used to describe any deep intense blue in Aquamarine regardless of locality despite not being entirely correct.